5) The Shen and Hun and Jungian psychology. The longer I practise, the more I think that in clinical practice we can interpret most mental-emotional problems in terms of the “five spirits” as well as of “patterns of disharmony”. 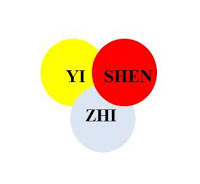 The “five spirits”, in Chinese called the”Five Shen” [五 神], are the Shen, Hun, Po, Yi, and Zhi residing respectively in the Heart, Liver, Lungs, Spleen and Kidneys. For example, irrespective of the pattern of disharmony involved, I see depression as a manifestation of lack of movement of the Hun and manic behaviour as a manifestation of excessive movement of the Hun. To give another example, I see bipolar disease mostly as a Hun disharmony while I see anxiety mostly as a Shen and Po disharmony. Please note that I am not advocating treating mental-emotional problems purely by treating the “five spirits” and not the patterns of disharmony. I am advocating treating such problems using both approaches. To give an example, if someone suffers from depression, I interpret that as a lack of movement of the Hun and I would nearly always stimulate that movement by using G.B.-40 Qiuxu. However, it is also important to treat this person by addressing the pattern of disharmony which may be Liver-Qi stagnation, Heart- and Lung-Qi deficiency or many other patterns. When discussing the nature of the Shen, I will in particular explore the Confucian and Neo-Confucian influence on the concept of Shen and Xin (Heart) in Chinese medicine. The word “Shen” can be translated in many different ways such as “mind”, “spirit”, “consciousness”, “vitality”, “expression”, “soul”, “energy”, “god”, “God”, “psychic”, “numinous”. From a grammatical point of view, it can be a noun, adjective or verb. 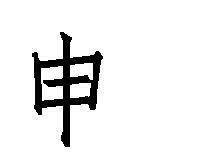 The Chinese character for “Shen” is composed of two parts, one on the left, the other on the right. Often when a character is composed of two parts, one part gives it a meaning and the other is purely phonetic, i.e. it tells a Chinese speaker how that word is pronounced. Let us look first at the left side which gives the character its meaning. The left part of the character “shen” is a contracted form of “shi” which indicates “influx from heaven”, “auspicious or inauspicious signs by which the will of Heaven is known to mankind”, “altar for sacrifices.” The non-contracted form of “shi” shows two lines at the top which are the old form of “shang” [上] (superior, above, high, hence “Heaven”) and three vertical lines representing what is hanging from Heaven, i.e. the sun, the moon and the stars, the mutations of which reveal to people transcendent things. Therefore, we can say that the left part of “Shen” conveys the idea that the Shen is something spiritual, pertaining to Heaven, numinous, non-material (bearing in mind that we are talking about the Chinese and not a Christian concept of “Heaven”). The right part of the character is pronounced “shen” [申] and it confers the word this sound. However, very often the phonetic part of a character is not just phonetic but it also has a meaning. In the case of “Shen”, I believe it gives it a very important meaning. In fact, “shen” means “to state”, “to express”, “to explain”, “to stretch”, “to extend” (it also is the 9th Earthly Branch). Shen [申] means “to extend”, “to stretch”. The seal writing shows two hands stretching a rope and hence the idea of stretching, expansion. Later the rope was straightened by the scribes and was explained as a man standing and with both hands girding his body “I” with a sash. The form 申 is simply an easier way of writing the pictogram below. The combination 神 is probably phonetic but the idea of spirit may have some connection with an increased or extended 申 [shen] spiritual revelation 示 [shi]. However, some find early forms representing forked lighting 電. They think, probably rightly, that these became the sign for deity from superstitious dread of lightning. It gradually took the form 申 and 示 was added when it meant Shen 神 , while 雨 rain was added when it meant lightning. I believe that this part of the character for “Shen” reflects an extremely important function of the Shen, i.e. the capacity to “extend” outwards, to project outwards, to relate, to communicate with others: it is what makes us relate to the world and other human beings and what makes us truly “human”. Incidentally, this capacity to “extend” and to relate is missing in autistic children. As we shall see below, this capacity of the Shen to “extend” is also partially dependent on mirror neurons. The Shen’s capacity to extend and project outwards may also be reflected by an expansive, centrifugal movement (called “shen”) which is often compared and contrasted to a contracting, centripetal movement (called “gui”). As we shall see below, the Shen’s capacity to extend and project outwards depends partially also on the movement of the Hun. The Hun moves upwards towards the Shen and its movement gives the Shen the capacity to extend and project outwards. The movement of the Hun towards the Shen is a psychic equivalent of the physiological ascending movement of Liver-Qi. De Bary translates “shen” as “numen” or “spirit” according to context. The word “numinous” means “pertaining to a numen”, “divine”, “spiritual”, “revealing or suggesting the presence of a god”, “inspiring awe and reverence.” Hence the words “numinosity”, “numinousness” meaning the condition or state of being numinous. “Numen” itself means “deity”, “divinity”, “divine” or “presiding power or spirit”. The Book of Rites (Li Ji) of the Zhou dynasty clearly refers to this use of the word “shen”: “Mountains, forests, streams, valleys, hills and mounds that were able to produce clouds and thus make wind and rain and make prodigies visible were all referred to as shen.” However, as we shall see, “numinous” is only one possible translation of the word “shen” and one that does not really apply to Chinese Medicine. Sinologists always translate the word “Xin” 心 [Heart] as “mind” (rather than “spirit”). Many of the characters that refer to different modalities of “thinking” are also constructed with xin as a component. In the classical Chinese world view, the Mind cannot be divorced from the Heart. The cognitive is inseparable from the affective. One of the Neo-Confucian schools of the Ming dynasty (Wang Yang Ming) was the Xin Jia or “School of Mind” as all sinologists translate it. The Shen is one of the vital substances of the body. It is the most subtle and non-material type of Qi. Most authors translate the word Shen as “spirit”; I prefer to translate Shen of the Heart as “Mind” rather than as “Spirit”. “Shen” indicates the activity of thinking, consciousness, self, insight, emotional life, memory, and volition, all of which depend on the Heart. I translate this as “Mind“ when it refers to the Shen of the Heart. “Shen” also indicates the complex of all five mental-spiritual aspects of a human being, i.e. the Shen itself, the Hun, the Po, the Yi and the Zhi. I translate this as “Spirit”. These five are called Five Shen 五 神 or Five Zhi 五 志. Please note that I am not saying that “shen” cannot mean “spirit”, of course it can. What I am saying is that, in the context of the Shen of the Heart, I prefer “Mind” as a better translation of it. Regarding the issue of how to translate Shen (i.e. as ‘Mind” or “Spirit”), it is interesting to note that, in serious mental illnesses such as schizophrenia and bipolar disorder, the Shen is said to be “obstructed”, “misted” or “clouded”. We know that very many great artists suffered from bipolar disorder and it is clear in their case that it is the Mind that is clouded, not their Spirit which soared to great heights. This would confirm that the Shen of the Heart (clouded in mental illness) is indeed the Mind. There is another meaning to the word Shen which is frequently mentioned in relation to diagnosis. In this context the word shen indicates an undefinable and subtle quality of “life”, “flourishing”, “lustre” or “glitter” which can be observed in health. This quality can be observed in the complexion, the eyes, the tongue and the pulse. Please note that “mind” is not the same as “consciousness”. In fact, many of our mental processes are unconscious (or rather, subconscious). I do not mean here “unconscious” in a psychoanalytic sense but simply in the sense that some processes and even feelings do not reach consciousness. 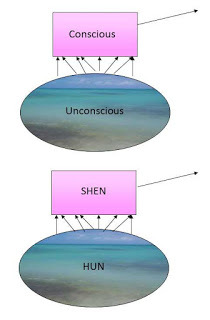 The Shen is definitely involved in consciousness but what about unconscious processes and feelings? I think the Shen is involved with unconscious processes too but in conjunction with the Hun as far as thoughts and emotions are concerned and with the Po as far as feelings are concerned. Thinking (or cognition) depends on the Shen. If the Shen is strong, thinking will be clear. If the Shen is weak or disturbed, thinking will be slow and dull. The Chinese characters for “thought” (yi 意), “to think” (xiang 想) and “pensiveness” (si 思) all have the character for “heart” as their radical. Memory has two different meanings. Explicit memory consists in remembering facts and past events. This depends on the Shen and therefore the Heart, although also on the Spleen (Yi) and Kidneys (Zhi). Implicit memory consists in muscle memory, i.e. remembering how to ride a bicycle, to dance or to knit, etc. Insight indicates our capacity of self-knowledge, self-examination and identity of self. The Shen of the Heart is responsible for our identity of self as individuals. This is lost in serious mental illness such as schizophrenia or bipolar disease and is caused by obstruction of the Shen. 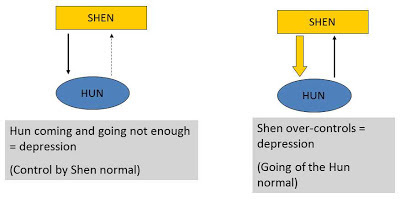 Obstruction of the Shen, however, may occur in different degrees of severity and it does not always lead to serious mental illness. Edelman distinguishes between primary and higher-order consciousness. The Shen of the Heart is also responsible for hearing, sight, taste and smell. Practically all Confucian and Neo-Confucian philosophers mention the control of the senses by the Heart (and Shen). Many of the ancient Daoist and Confucianist texts view the senses (sight, hearing, smelling, taste) as “dangerous”. They “pull” on the Shen out of itself and dissipate its energy. Emotional life also depends on the Shen of the Heart. With regard to emotions, only the Shen (and therefore the Heart) can recognize them. When we say (or think) “I feel angry” or “I feel sad” who is the “I” that feels angry or sad? It is the Shen of the Heart. Of course emotions definitely affect all the other organs too, but it is only the Shen that actually recognizes, feels and assesses them. For example, anger affects the Liver, but the Liver cannot feel it because it does not house the Shen. Only the Heart can feel it because it stores the Shen which is responsible for insight. When one feels sad, angry or worried, it is the Shen of the Heart that feels these emotions. It is for this reason that all emotions eventually affect the Heart (in addition to other specific organs), and it is for this reason that the tip of the tongue becomes red in emotional problems from whatever emotion. The Chinese concepts of Shen and Xin cannot be separated from the Chinese view of the body. Although made of different script, when some characters share the same sound it is not a coincidence and it often has a deep meaning. Characters sharing the same sound are called “cognate”. The word “Shen” 神 (Mind) is cognate with shen 申, shen 伸 (to extend) and shen 身 (body). TI 体 (body, part of body, substance). Old form was 體 (bone on the left and vessel on the right). Interestingly, the character for “body” is composed of that for “bone” on the left and that for “ritual vessel” on the right. It is interesting to note the similarity between the character for “body” that has a ritual vessel on the right and a bone on the left, with that for “rites” which has a ritual vessel on the right and “shi” on the left, the same “shi” that is on the left of the character “shen”. Therefore the body is like a “ritual” that must be cherished. Interestingly, the etymology of the word “body” comes from the Old German “budha” which means “tub” or “container”. This is interesting as it would reflect the dualism that has affected Western philosophy and religion for centuries, i.e. that between the “soul” and the “body” in which the body is a “container” for the soul. As we know, this dualism is absent in Chinese philosophy, as body and Shen are nothing but two different states of aggregation of Qi. Therefore translating “shen” [身] as “body” does not do it justice as it is more than a “body”. It may mean the “self”. There are several expression involving shen 身 that indicate that this term refers to the “self” rather than “body”. Of these three, shen [身 ] is not just the body but also the “self”, the unity of body and mind. The fact that it is cognate with Shen is very significant. Wo and Ji, by contrast, are most often used as a negation, i.e. with wu (not, non-) in front, i.e. wu wo 无 我 or wu ji 无 己 (i.e. “non-self”). 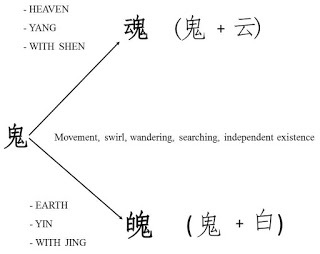 These expressions refer to the Daoist concept of “losing oneself”, “following”, “at ease”, etc, all states indicating not strictly a negation of the self but a state in which the self merges with the natural order of the Dao. Negative expressions that occur in conjunction with wo 我 are wu 無 (nothing), shi 失 (to lose), sang 丧 (to lose), xu 虚 (void, empty) and qu 去 (to remove). By contrast, shen [身 body] is something that we should xiu 修 (repair), bao 保 (preserve) or yang 养 (nourish). Please note that the Daoist “negation of the self” could not be further removed from the Christian negation and punishment of the self and body. In the Christian religion the self and body was seen as a dangerous temptation which should be kept apart from the soul. None of the three religions (or rather philosophies) of China (Buddhism, Confucianism and Daoism) has any concept of “sin”. The term Xin [心 heart] indicates both the physical heart and a wide range of emotional and mental functions, not a distinct entity with a strictly mental or spiritual nature. In other words, it lacks the same qualities of the “self” or “soul” in Western philosophies and religions that shen [body] and shen [mind] also lack. All sinologists who study the Confucian and Neo-Confucian philosophers of the Song and especially Ming dynasty, translate School of Xin as “School of Mind”, i.e. they translate the word “Xin” (meaning Heart) as “Mind”. All talk about “Heart-Mind” or “Mind-Heart”. Bear in mind that in ancient China Xin includes cognitive and affective functions. The idea that the Heart (and therefore Shen) is the “ruler” of course pervades the Nei Jing but it is found also in many other philosophical texts from the Warring States period down to the Ming dynasty. Xun Zi’s view of Xin (and therefore Shen) is not only cognitive but also volitional. It could be argued that a Confucian human-body cosmology is based on the Heart being at the top as the imperial ruler, while a Daoist human-body cosmology is based more on the Kidneys below, the source of Jing and the basis for Daoist Qi Gong. The Confucian view of the Heart as the ruler and the most important organ derives also from Meng Zi’s (372-289 BC) views on the Heart-Mind. Meng Zi often talked about “losing one’s heart” (and therefore Mind) and “retaining one’s heart”. The gentleman [jun zi] retains his heart; according to Meng Zi “a gentleman differs from other men in that he retains his heart”. He thought it necessary to emphasize retention of the heart because it is something that is easy to lose. Since the heart is something we possess originally it is also called the “original heart”. Meng Zi describes a man who loses his sense of shame, for example, and comes to do things for unworthy motives as a man who has lost his “original heart”. Meng Zi also calls it the “true heart”. “It is not the case that a man never possessed the benevolent and righteous heart [according to him we all have it] but that he has let go of his true heart”. According to Meng Zi, the main function of the Heart is to think (hence my translation of Shen as “Mind”). If a man loses his heart, his senses cause him to be attracted by outside things. “The organs of sight and hearing are unable to think and can be misled by external things”. “The heart organ can think, but it will find the answer only if it does think. Otherwise, it will not find the answer. This is what Heaven has given me”. We can see from this passage why Meng Zi attaches the greatest importance to the Heart. Without the ability to think, a living creature is completely determined by its desires and the desires are at the mercy of their objects. It is the gift of the True Heart from Heaven that marks human being off from animals; but the mere possession of the Heart is not enough, we must think with it. What Meng Zi meant by “thinking” is not only cognitive thinking but also emotional, ethical and volitional, i.e. our thinking about moral duties, priorities, the purpose and destiny of man. As we shall see below, these are functions of the pre-frontal cortex. According to Meng Zi, in the human body, the heart is the highest member and the senses are lower members. The difference between a gentleman and lesser men is the relative importance that they give to the highest or lower members. The “gentleman” [jun zi] gets his priorities right, while the small man gets them wrong. Meng Zi called these incipient tendencies the “four hearts”: they germinate into the Confucian qualities of compassion (ren), righteousness (yi), ritual propriety (li) and wisdom (zhi). Please remember that the above “four hearts” can only be understood in the context of Confucian philosophy and ethics. Ren, Yi, Li and Zhi are the four fundamental Confucian qualities that ensured harmony in the individual, family, society and the State. A discussion of these four qualities is beyond the scope of this article and a translation is very difficult. They roughly correspond to “benevolence”, “righteousness”, “rites” and “wisdom”. Both Meng Zi (372-289 BC) and Xun Zi (310-220 BC) place the Heart at the top of a hierarchy and view it as the “ruler”: this is of course, the view of Chinese medicine. Despite this picture of the Heart as the ruler, for Meng Zi, the Heart is also linked to emotions and desires. 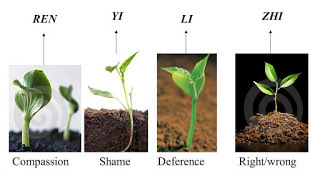 The ethical desires of the Heart lead to the “four sprouts”. Meng Zi places the Heart at the centre of human nature and also at the “top” of a hierarchy (influence on Chinese medicine). It could be argued that a Confucian human-body cosmology is based on the Heart being at the top as the imperial ruler, while a Daoist human-body cosmology is based more on the Kidneys below, the source of Jing and the basis for Daoist Qi Gong. Zhuang Zi (369-286 BC) disagreed with the idea of the Heart being the ruler. He insists that the Heart, being only one of the organs, is no more “me” than any other organ. We suppose that it could control the others, but in fact the various members are interdependent and “take turns as each other’s ruler and subjects”. According to him, the true ruler is not the Heart but the Dao. In conclusion, the Confucian (and especially Meng Zi’s) discussion of Heart and Mind dating back to the 4th century BC is pivotal in the development of Chinese philosophy and Chinese medicine. The Confucian did nothing less than “discover” the Heart and Mind [Xin 心] and made it an essential part of our human nature. This certainly had an influence on the concept of “Heart” and “Shen” in the Nei Jing also considering that this text is heavily influenced by Confucian philosophy. Meng Zi introduced his own version of this philosophy producing a moral version of the Heart and Qi. According to Meng Zi, the unique feature of the make-up of a human being is his Heart and so, when we speak of human nature, we should have the Heart in mind primarily. In other words the Heart is our human nature. 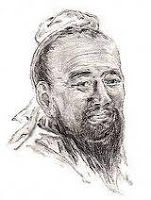 Meng Zi not only described the essence of “human nature” (Xing 性) but provides it with a structure as well, with the Heart at the top of the hierarchy of Zangfu. We can say therefore that the view of the Heart as monarch is Confucian, while the Daoist view would put the Kidneys at the top (Jing, Minister Fire). In fact, as we shall see below, the Daoist text Nei Ye talks a lot about Jing as well as Xin. The School of Mind (or Heart-Mind) is one of the Neo-Confucian Schools of the Song (960-1279) and Ming (1368-1644) dynasties. Its main advocate was Wang Yang Ming (1472-1529). He considered Xin the ultimate reality in contrast to the great Zhu Xi who considered Li [理] the ultimate reality. Zhu Xi’s doctrine of Li is one of ontological dualism: there is a xing er shang [Above Form 形 儿 上] and a xing er xia [Below Form 形 儿 下] reality, i.e. a metaphysical and a physical reality respectively. Although Zhu Xi was the founder of the School of Li, he wrote extensively about Xin. He considered Xin and the “controlling ruler”, as Chinese medicine does. 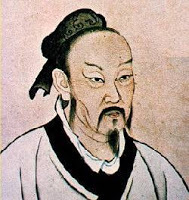 The Neo-Confucian philosopher Wang Fu Chi (1619-1692) explored the nature of Shen and the relationship between Shen and Qi. Zhuang Zi, the great Daoist philosopher often used the term “shen” as “unfathomable” or “daemonic”. The word “daemonic” is not used in the sense of “demon” but to indicate supernatural powers. Fan Zhong Yan (989-1052) clearly states the equivalence between ruling one’s Mind and ruling a country, thus showing the political dimension of Confucianism. “What is most subtle and refined in the human person, and yet most broad and great, is the Mind-Heart [Xin]. It ranges out to Heaven and Earth, connects past and present, coordinates human principles and binds together human affairs through all their vicissitudes – indeed there is nothing to which thought does not extend. Thus the sages had the Learning of the Heart-Mind. Graham says that Xin is the ordinary word for “heart”, the Chinese having always located mental activities there rather than in the brain. It seems likely that when Mencius spoke of having an “unmoved heart” he was not drawing a sharp line between mental disturbances and physical palpitations. But by the time of the Song dynasty Xin is used consciously in two senses, for the physical organ and for something inside it which controls the movements of the body and is the agent in knowledge. Mental activities are conceived as “functions” varying according to the stimulation of the underlying “substance” by outside things. Graham also concurs that the word “shen” is sometimes used as “daemonic power”. He says that, for the authors of the appendices of the Book of Changes, Shen is not a personal spirit but a daemonic power or intelligence which is active within the operations of heaven and earth and which emanates from the person of the sage. In the appendices of the Book of Changes the word is less frequent as a noun than as an adjective, for which the least unsatisfactory English word is perhaps “psychic”, applied to the Way, the Changes, the divining stalks, the sage, and the inner power or De as in Dao De Jing (usually wrongly translated as “virtue”). Even when shen is used in the appendices as a noun, it does not refer to any entity distinct from things which are shen. The shen of the divining stalks is not a “psyche” within them, but, so to speak, their “psychicity”. Graham therefore says that we cannot afford to use the standard English equivalent “spirit” even when the word is used as a noun, since to do so would disguise the fact that the Neo-Confucians treat it not as an entity like “principle“ [Li], “Qi”, “nature”, “mind”, but as a state like “integrity”, “composure”, “equilibrium”. For the best discussion of the notions of “Xin” in Chinese philosophy see: Lee J, Xunzi and Early Chinese Naturalism, State University of New York Press, Albany, 2004. Nei Ye is a chapter of the Guan Zi. The Nei Ye is a typical Daoist text dedicated to Daoist techniques of breathing, meditation, exercise and generally “Yang Sheng” (nourishing life) practices. It also discusses the cultivation of Jing-Qi-Shen. Guan Zi is a text that is influenced by Legalism, Daoism and Confucianism. It is named after the 7th century BC philosopher Guan Zhong, Prime Minister to Duke Huan of Qi but it dates to the Warring States Period (476-221 BC). The following is an example of passages from the Nei Ye which highlight its Daoist roots and its being an early source of Daoist Qi Gong. We tend to think of the Dao De Jing as the main Daoist text, which it is; however, the Dao De Jing is primarily a philosophical and political treatise while the Nei Ye is a quintessential text on Daoist exercises. Lofty! – as if dwelling on a mountain peak. Reverently hold onto it and do not lose it: this is called “developing inner power.” [De 德]. The Nei Ye also uses the word “Shen” which Roth translates as “numinous” in this passage. Roth thinks that “Shen” should be translated as “numinous mind” or “numinous” and “Xin” as Mind. He thinks that this translation is preferable to “spirit” to avoid confusion with Western views of “spirit”. The Nei Ye mentions both Shen and Xin. The term Shen also frequently refers to the external “spirits” or “numina” of nature like mountains and rivers; it may also refer to ancestors. These “spirits” are the powers that descended into early Chinese shamans and shamanesses during their ritualized trances. Here the text speaks not of some internal numen or spirit but, rather, of a spirit-like or numinous power than can foreknow. It details how the practice of concentrating and refining Qi into Jing leads to the ability to divine the future without tortoise shells or milfoil stalks. This foreknowledge also occurs without relying on ghostly [gui] or numinous [shen] powers outside or within oneself but, rather, because of the utmost refinement of Qi and Jing. Interestingly, chapter 8 of the Nan Jing calls resistance to pathogenic factors “Shen”: it says that the Yuan Qi between the Kidneys is the the “shen” that protects us from pathogenic factors (or evils). In conclusion, the view of Shen in the Nei Jing is very different than that in the Nei Ye. In the Nei Jing, Shen is equivalent to the Xin of the Confucians and Neo-Confucians. It is the Mind that must be trained. It is also the monarch of the body in the Confucian view of the State. In the Nei Ye, Shen is a numinous power that can even apply to mountains, rivers, etc. It is a psychic state that, typically for Chinese medicine and philosophy, can be developed by developing and nurturing Jing. 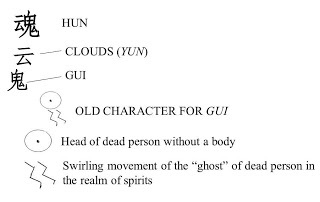 The Chinese character for “Hun” is composed of a “ghost” or “spirit of a dead person” on the right (which gives it its meaning) and if a “cloud” [yun] on the left which is phonetic and gives it is sound (hun being similar to yun). The character for “ghost” is “gui” in Chinese. Its old pictograph represents the head of a dead person (without a body) and the swirling movement of this ghost after death. As we shall see, the them of “movement” is an essential aspect of the nature of the Hun. The Shen and Hun and inseparably linked and together they form our consciousness, mind and spirit. Zhang Jie Bin in the “Classic of Categories” says: “The Shen and the Hun are Yang…the Hun follows the Shen, if the Shen is unconscious the Hun is swept away”. It also says: “The Shen corresponds to Yang within Yang; the Hun corresponds to Yin within Yang”. When describing the Hun, the theme of “movement”, “swirling”, “wandering”, “searching” etc. is ever present. The old form of the Chinese radical within the word “hun” depicts the swirling movement of the soul of a dead person in the realm of spirit. 5) Movement in terms or creativity, inspiration. Excessive movement of the Hun may cause manic behaviour while complete movement of the psyche out of itself may result in mental illness. Hun is the “gui”, i.e. the intuitive, non-rational side of human nature. 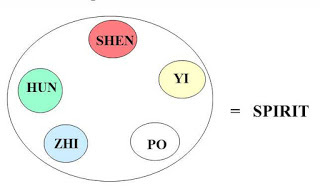 Note the contrast between the character for “Shen” that takes its meaning from “shi”, something spiritual, ethereal, pertaining to Heaven, and that for “Hun” that has a “gui” on the left side. The gui in the character hun for the “Hun” has also another important meaning. The fact that the Hun has the nature of gui means that it has an independent existence from the Shen. The Hun has its own life and “agenda” over which the Shen has no say: the interaction and integration of the Shen with the Hun is the basis for our rich psychic life. 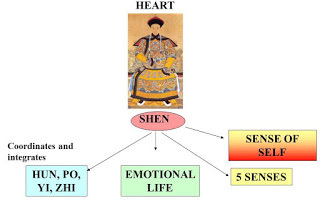 Unlike the Hun, the other two mental-spiritual aspects of Yi of the Spleen and Zhi of the Kidneys do not have an independent existence but could be said to be part of the Shen of the Heart. Like the Hun, the Po also has its own independent existence although on a physical level. The Hun assists the Shen in its mental activities. The “Five-Channel Righteousness” (Tang dynasty), says: “Knowledge is dependent on the sharpness of the Hun”. The Hun provides the Shen (which is responsible for rational thinking), with intuition, vision and inspiration. It also gives the Shen “movement” in the sense that it allows the Shen the capacity of insight and introspection as well as the ability to project outwards and relate to other people. Remember the term “Shen” being cognate with “shen” 申 and 伸, i.e. “to extend”. This capacity for movement and outward projection is closely related to the Liver-Qi quality of quick and free movement. The words “movement”, “coming and going”, “wandering” are often used in connection with the Hun. The free flow of Liver-Qi is the physical equivalent of the Hun’s capacity for smooth movement and “coming and going”. The free flow of Liver-Qi helps the Heart and the Shen. Note that Liver also has a physiological ascending movement. That movement is towards the Heart; on a psychic level, it is the role that subconscious thinking, intuition and inspiration play in cognition. The Shen can only cope with one idea at a time originating from the Hun and it must therefore exercise some form of control over the material coming from the Hun. It must also integrate the material deriving from the Hun in the general psychic life. Therefore the Shen “gathers” the Hun. Thus, the Hun brings movement to the Shen, and the Shen provides some control and integration. If the Shen is strong and the Hun properly gathered”, there will be harmony between the two and the person has calm vision, insight, wisdom and the right balance between “extending” and “withdrawing”. If the Shen is weak and fails to restrain the Hun (or if the Hun is overactive), this may be too restless and only bring confusion and chaos to the Shen, making the person scattered and unsettled. This can be observed in some people who are always full of ideas, dreams and projects none of which ever comes to fruition because of the chaotic state of the Shen which is therefore unable to restrain the Hun. I broadly define this as “manic behaviour” bearing in mind this is much milder than the one observed in bipolar disease. Mild “Manic Behaviour” is mania in people who are not mentally ill.
Mania can occur in many degrees of severity and there is a broad area of behaviours that, while not normal, do not constitute “mental illness”. In other words, in its milder forms, “mania” and “manic behaviour” are relatively common. If the movement of the Hun is lacking (which could be due to over-control of the Hun by the Shen), the person lacks vision, imagination, creativity and will be depressed. The left part of the diagram below illustrates the situation when the movement of the Hun is deficient; the right part of the diagram below illustrates the situation when the Shen is over-controlling the Hun (thereby restraining its movement). The relationship between Shen and Hun is all about expansion (stimulation of coming and going of the Hun) and contraction (restraint of coming and going of Hun) in our psychic life. These two polarities of expansion and contraction are called “shen” and “gui” in Chinese philosophy. YUAN ZHI: pungent, bitter, warm dispersing and draining, resolves Phlegm, opens the Heart orifices = stimulates expansion, i.e. coming and going of Hun. SUAN ZAO REN: sour, sweet, astringent, promotes sleep, anchors Hun = stimulates contraction, i.e. restraint of coming and going of Hun. Thus “Shen” 神 and “gui” 鬼 are used as codewords for “expansion” and “contraction”. “When a person dies, his spirit ascends to Heaven and his flesh and bones return to Earth. To be an earthly gui means to return…to be a heavenly shen means to expand. When the expansion reaches its limit, it ends and begins again. A person is born of gui and at death returns to them. Yin and Yang are called gui-shen. After people die, they are also called gui-shen”. Note how in this passage “return” is counterposed to “expansion”. This is because “return” has also the meaning of “converge” and “contraction”. The following diagrams illustrate this concept of cycles of expansion and contraction in our psyche. 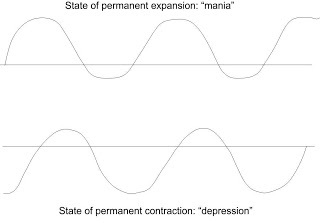 In the first diagram we have an illustration of normal cycles of expansion and contraction in the psyche. In the diagram below, on the top we have a state of more or less permanent expansion, i.e. when expansion prevails over contraction: this person will be “manic”. The part below illustrates the opposite, i.e. a state of more or less permanent contraction: this person will be depressed. Artistic inspiration comes from the Hun, not the Shen (at least in Western art, not Chinese art). It is for this reason that there is a disproportionate incidence of bipolar disease in (Western) artists (see Kay Redfield Jamison). The same psychic energy that makes you artistic also, potentially, makes you “mad”. Redfield Jamison K, Touched with Fire, The Free Press, New York, 1993. The discovery that there are centres in the brain that are responsible for the personal, ethical and social dimensions of reasoning irrespective of cognition and language came about after the accident that occurred to Phineas Gage. 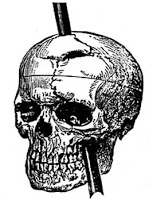 Phineas Gage was a railroad construction foreman in charge placing the dynamite charges that were necessary to blast rock. On September 13, 1848 25-year-old Gage was foreman of a work gang blasting rock while preparing the roadbed for the railroad. Gage was tamping his iron rod when the iron struck a spark against the rock and the powder exploded. The tamping iron entered on the side of his face passing back of the left eye, and out at the top of the head. After the accident, Gage’s cognition and language skill were unaffected but there was a drastic change in his personality. This was the first time that neurologists realized there were centres in the brain responsible not for cognition but for ethical choices and planning. 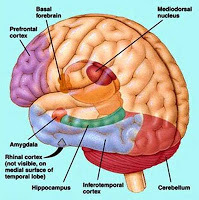 Such centres are in the pre-frontal lobe. Before the accident, Gage had a strong sense of personal and social responsibility, cared for the quality of his work, and attracted the admiration of his colleagues and superiors. He was adapted in social conventions and was ethical in his dealings. After the accident, he no longer showed respect for social convention; ethics were violated; he was given to lying and inventing tales. Gage’s injury showed for the first time that there were centres in the brain responsible for the personal and social dimensions of reasoning. The observance of previously acquired social conventions and ethical rules could be lost as a result of brain damage, even when neither cognition nor language were affected. Gage’s injury showed that something in the brain was concerned specifically with unique human properties, among them the ability to anticipate the future and plan accordingly within a complex social environment; the sense of responsibility towards the self and others. 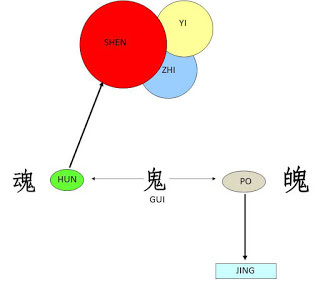 From a Chinese perspective, this shows that there are centres in the brain that control the interaction between the Shen and Hun. Gage’s injury affected the “Hun part of the Shen”. From a Western point of view, this is the prefrontal cortex. This brain region has been implicated in planning complex cognitive behaviors, personality expression, and modulating correct social behavior. The basic activity of this brain region is considered to be orchestration of thoughts and actions in accordance with internal goals and social rules. The most typical neurologic term for functions carried out by the pre-frontal cortex area is executive function. Executive function relates to abilities to differentiate among conflicting thoughts, determine good and bad, better and best, same and different, future consequences of current activities, working toward a defined goal, prediction of outcomes, expectation based on actions, and social “control” (the ability to suppress urges that, if not suppressed, could lead to socially-unacceptable outcomes). Many authors have indicated an integral link between a person’s personality and the functions of the prefrontal cortex. Skills of comparison and understanding of eventual outcomes are harbored in the prefrontal cortex but the prefrontal cortex (when functioning correctly) controls the mental option to delay immediate gratification for a better or more rewarding longer-term gratification result. This ability to wait for a reward is one of the key pieces that define optimal executive function of the human brain. The prefrontal cortex (PFC) is responsible for the executive functions, which include mediating conflicting thoughts, making choices between right and wrong or good and bad, predicting future events, and governing social control — such as suppressing emotional or sexual urges. From a Chinese perspective, many of the above-mentioned functions of the prefrontal cortex are functions of the Hun, e.g. executive functions, future consequences of current activities, working toward a defined goal, prediction of outcomes, expectation based on actions. All this broadly corresponds to the “planning” of the Hun. The PFC also influences social “control” (the ability to suppress urges that, if not suppressed, could lead to socially-unacceptable outcomes). This reflects the control of the Shen over the Hun. The pre-frontal cortex is responsible for planning complex cognitive behaviors, personality expression, modulating correct social behavior; also orchestration of thoughts and actions in accordance with internal goals and social rules. This is often described as “executive function”, ability to differentiate among conflicting thoughts, determine good and bad, future consequences of current activities, working toward a defined goal, prediction of outcomes, expectation based on actions, and social “control”. When the pathways between the prefrontal cortex and the rest of the brain are damaged due to head injury, massive personality changes can result. One might say that the prefrontal cortex is the neurological basis of the conscience. Weak interconnections between the prefrontal cortex and the rest of the brain have been observed in criminals, sociopaths, drug addicts, and schizophrenics. The prefrontal cortex has expanded greatly in size throughout hominid evolution, culminating in Homo Sapiens, suggesting a strong selection pressure in favor of its continued growth. In the past five million years of human evolution, the size of the prefrontal cortex has increased six-fold. The size of the prefrontal cortex relative to the rest of the brain has also increased throughout these five million years since the brain itself has increased in size about three-fold. The prefrontal cortex is fed information from all the senses, and combines this information to form useful judgments. It constantly contains active representations in working memory, as well as representations of goals and contexts. At the Hospital Barra D’Or in Rio de Janeiro, Eslinger tested a group of normal adults by asking them to view images of emotionally charged scenes with and without “moral” content while lying inside an fMRI magnet. Pictures of physical assaults, war carnage, and abandoned children were included in the moral category; the non-moral images depicted body lesions and dangerous animals. Certain brain regions (the amygdala, thalamus, and upper midbrain) were consistently activated by both types of emotional stimulus. But some areas, including the orbital prefrontal cortex and the superior temporal sulcus, at the furrow between the frontal and temporal lobes, fired specifically in response to moral content. Moreover, the researchers found that this activation was very fast. “People detected that something was wrong very quickly. It’s almost as if the moral content is embedded within the perception. You don’t have to stop to think.” When they later showed the same pictures to a group of diagnosed sociopaths, he adds, their reactions differed, and these “cortico-limbic circuits” did not consistently activate. Thus, the prefrontal cortex is also involved in the so-called moral or social emotions, i.e. shame, guilt and disgust. The emotion of disgust played an important evolutionary role in steering us away from toxic plants, poisons and spoiled food. However, “disgust” has also a moral dimension, i.e. moral disgust when observing immoral, unethical or criminal behaviour. 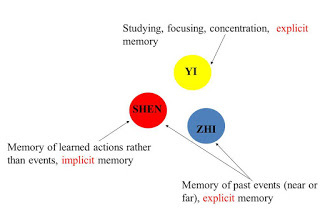 From a Chinese perspective, the prefrontal cortex is the arena of interplay between Shen and Hun. 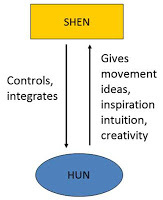 The Shen represents the executive function that needs to interact with but also somewhat control the desires of the Hun. The Shen also represents the moral and social dimension of our life, i.e. interaction with others in family and society (the Hun has nothing to do with ethics and that is why it need the “control” of the Shen). The location of certain acupuncture points on the forehead presents interesting observation as to the effect these points might have on the prefrontal cortex. The main point is Du-24 Shenting which, in my opinion, has a profound influence on the regulation of Shen and Hun, finding the right balance between excitation and restraint of the Hun and the right balance of enough (but not too much) control of the Shen over the Hun and also enough movement (but not too much) of the Hun towards the Shen. For this reason, this point helps both depression and anxiety as well as manic behaviour. Moreover, it helps memory and the prefrontal cortex is the location of working memory. Du-24 is a very important and powerful point to calm the Mind. It is frequently combined with G.B.-13 Benshen for severe anxiety and fears. An important feature of this point which makes it particularly useful is that it can both calm and lift the Mind: therefore it is used not only for anxiety and insomnia but also for depression and sadness. It is also used in psychiatric practice for schizophrenia and split thoughts. Manic behaviour. The name of this point refers to its strong influence on the Mind and Spirit. The courtyard was traditionally considered a very important part of the house as it was the one that gave the first impression to visitors; it is the entrance. Thus, this point could be said to be the “entrance” to the Mind and Spirit and its being a courtyard, highlights its importance. Being the “entrance”, it controls our relationships with others. James LeDoux says that the prefrontal cortex, the site of working memory, is the gateway to consciousness! Du-24 Shenting is the courtyard or gateway. G.B.-13 has a powerful calming effect on the Shen. G.B-13 Benshen “gathers” Jing to the head. Its deep mental and emotional effect is also due to its action of “gathering” Jing to the head. Kidney-Jing is the root of our Pre-Heaven Qi and is the foundation for our mental and emotional life. A strong Jing is the fundamental prerequisite for a clear Mind (Shen) and a balanced emotional life. This is the meaning of this point’s name “Root of the Shen”, i.e. this point gathers the Jing which is the root of the Shen. Kidney-Jing is the source of Marrow which fills up the Brain (called Sea of Marrow): G.B.-13 is a point where Jing and Marrow “gather”. The “Great Dictionary of Acupuncture” says that this point “makes the Shen return to its root”: the “root” of the Shen is the Jing, hence this point “gathers” Jing to the Brain and affects the Shen. As it connects the Shen and Jing, this point also treats both the Heart and the Kidneys and therefore the Shen and Will-Power (Zhi): for this reason, it is an important point in the treatment of depression. When combined with other points to nourish Jing (such as Ren-4 Guanyuan), G.B.-13 attracts Jing towards the head with the effect of calming the Mind and strengthening clarity of mind, memory and will power. 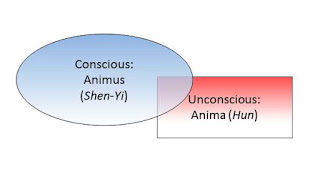 4) MIRROR NEURONS: THE ARENA OF SHEN AND HUN? In 1992 an Italian neurophysiologist in Parma was doing brain research using macaque monkeys. They were specifically researching an area of the brain called F5, located in the premotor cortex. Area F5 contains millions of neurons that specialize in coding for one specific motor behaviour: actions of the hand, including grasping, holding, tearing and, most important, bringing objects (food) to the mouth. As Iacoboni explains “For every macaque these actions are as basic and essential as they come. We Homo Sapiens are grasping and manipulating objects from the moment we fumble for the snooze button in the morning until we adjust our pillows at bedtime. All in all, we perform hundreds, if not thousands, of grasping actions every day.” That it why the Rizzolati team chose area F5 for close investigation. One day the neurophysiologist Vittorio Gallese was moving around the lab during a lull. A monkey was sitting quietly in the chair; suddenly, as Vittorio reached for something, he heard a burst of activity from the computer that was connected to the electrodes surgically implanted in the monkey’s brain. To an experienced neurophysiologist, this signalled a discharge from the pertinent cells in area F5. Vittorio immediately thought that this was strange as the monkey was sitting quietly not grasping anything, yet the neurons affiliated with the grasping action had fired nevertheless. Through many painstaking other experiments, the neurophysiologist came to the discovery that, within the F5 motor area, there are dedicated neurons (about 20%) that fire not when one performs an action but when one watches someone else performing an action e.g. grasping, bringing objects (usually food) to the mouth, kicking a ball, playing tennis, etc. They even fire when one simply hears a word such as “kick”. Mirror neurons imitating a grasping action fire even when the object grasped is hidden from view (behind a screen), but not if the monkey knows that there is no object. For example, if I watch someone grasping a cup soon after having an argument with that person, thanks to the mirror neurons, I know whether he or she is grasping the cup to get a drink or whether they are about to throw the cup at me. Quiet simply, mirror neurons differentiate between the same action associated with different intentions. After years of experiments by many different neurophysiologists, mirror neurons are now thought to be involved in much more than “imitating” motor actions in one’s brain when watching someone else performing a motor action. They are now thought to be involved in emotional bonding, empathy and language. Essential to this empathy based on mirror neurons are other people’s facial expressions that trigger the firing of our mirror neurons. 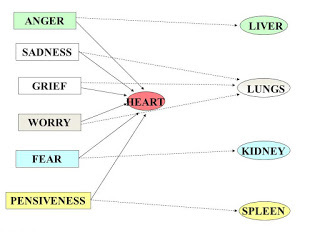 To James (of the James-Lange theory of emotions), this phenomenon means that “our mental life is knit up with our corporeal frame, in the strictest sense of the term.” Incidentally, that is the connection between emotions and the Po in Chinese medicine. Mirror neurons also play a role in the development of a sense of self. Social context is critical in developing a sense of self. Isolation seems to inhibit the ability to develop a sense of self; rich social context facilitates it. The presence of others, the continuous relations and interactions one must have with others facilitates the development of our sense of self. Mirror neurons fire when we observe actions and when we perform those same actions. There is a strong link between social environment and a sense of self and this link is at least partly due to mirror neurons. What has all this to do with Chinese medicine and, in particular, with Shen and Hun? I think there are interesting connections between the role of Shen and Hun and mirror neurons. Shen and Hun together are responsible for emotional empathy and relating to others. Consider the Chinese ideogram for “shen” especially its right side. As we have seen, the right side of the ideogram is pronounced “shen” and it means “to express, to explain, to stretch, to extend”. The last two meanings, “to stretch” and “to extend”, are crucial to an understanding of what the Shen does. It is responsible for “extending” towards others, for connecting with others, for emotional connection and empathy. In other words, for the function of the mirror neurons. However, the Shen cannot perform that function alone: it relies on the help of the Hun and that is why ancient books say that Shen and Hun are related work in unison (they are both Yang in nature), as opposed to the relation between Po and Jing (both Yin in nature). The Hun perform these functions through its movement in the sense of searching, exploring ideas, nurturing life dreams, etc. Without the input of the Hun the Shen would be an inert consciousness. The input of the Hun is therefore essential for the Shen to perform its function of relating and connectedness with others. Again, this is the Chinese medicine equivalent of the function of mirror neurons. It is possible that autism in children is due to a deficient movement of the Hun that leads to an impaired function of the Shen in relating to others. As we have seen, this has been related to a dysfunction of mirror neurons. Conversely, I relate hyperactivity in children to an excessive movement of the Hun and, interestingly, hyperactive children are often artistic (which is a function of the Hun). How does one stimulate the movement of the Hun? I use the Gall-Bladder channel and especially GB-40 Qiuxu. To restrain the movement of the Hun, I use LIV-3 Taichong. Other points that regulate the Shen and Hun are Du-24 Shenting and GB-13 Benshen. BL-47 Hunmen regulates the movement of the Hun (it can restrain it or stimulate it). Although it is difficult to make direct connections between the Chinese and the psychoanalytical view of the psyche, there are some connections between the Shen and the conscious and between the Hun and the unconscious. The arrows coming out of the Hun towards the Shen and out of the unconscious towards the conscious illustrate the psychic contents stemming from the Hun and unconscious. Note that there is a single arrow coming out of the Shen and of the conscious: this illustrates the control that needs to be exercised by the Shen and the conscious. There are some connections between the Hun, Shen and Yi and the Jungian anima and animus. elements of his theory of the collective unconscious. In the unconscious of the male, this archetype finds expression as a feminine inner personality: the anima. In the unconscious of the female it is expressed as a masculine inner personality: the animus. The anima and animus can be identified as the totality of the unconscious feminine psychological qualities that a male possesses or the masculine ones possessed by the female, respectively. Although in the original Jungian view the anima is the unconscious of men and the animus unconscious of women, most analysts now believe that men and women both have both an anima and an animus. The anima is generally responsible for inspiration, feelings, intuition, connectedness; the animus is generally responsible for thinking, rationality. I believe that the anima may be related to the Hun and the animus to Shen and Yi.